These regulated adapters will put out exactly 3 Volts of power if you hook one single LED to it, or hook the maximum number of LEDs to it. They are regulated and able to run delicate electronics. 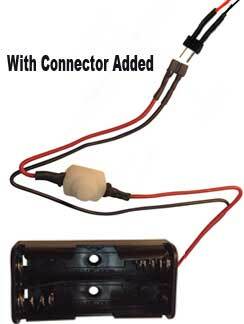 These UL listed Adapter / Transformers convert wall current to 3 Volt DC output, perfect for our LEDs. As you may be able to see from this picture, the power jack receiving end plugs in to our power adapter. At the other end, we have added a short piece of red and black wire. Easily change from 3V wall adapter over to battery and back! If you like to run your lights on wall power, and still want the flexibility to sometimes run on AA batteries whenever you are not near a wall outlet, we have a solution. With the "battery option" solution. 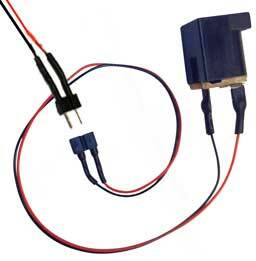 Wire your lights to a "male plug"
just unplugging and plugging in your lights. 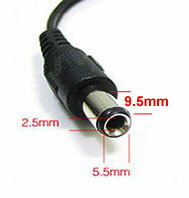 1 "male plug" to wire to all of your LEDs. Easily and safely change back and forth at any time! No more bulky, heavy, heat generating, transformers! This new high speed digital switching circuitry shrinks both the size and weight of the transformer! It also greatly reduces heat "losses", and increases the available output power. The result is much higher efficiency as well as a much more tightly regulated output voltage. 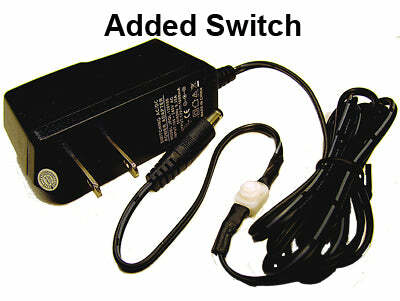 By comparison, A non-regulated adapter can put out up to 5 volts of power, which is too much for 3 volt LEDs. 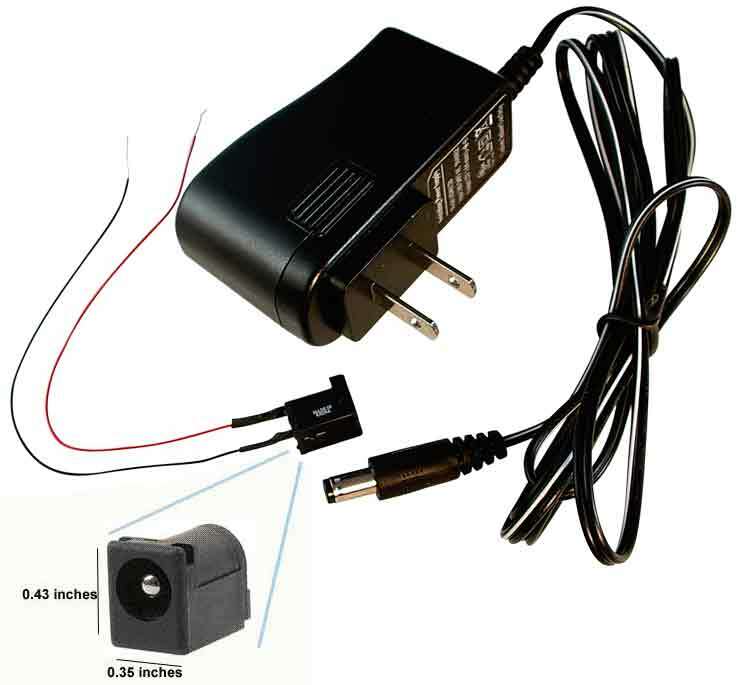 We do NOT recommend connecting our 3 Volt LEDs to a non-regulated adapter as the potential output voltage would be too high. This Transformer is one of the newer "switching adapters" which regulate the output voltage without all of that heat the older adapters can produce.